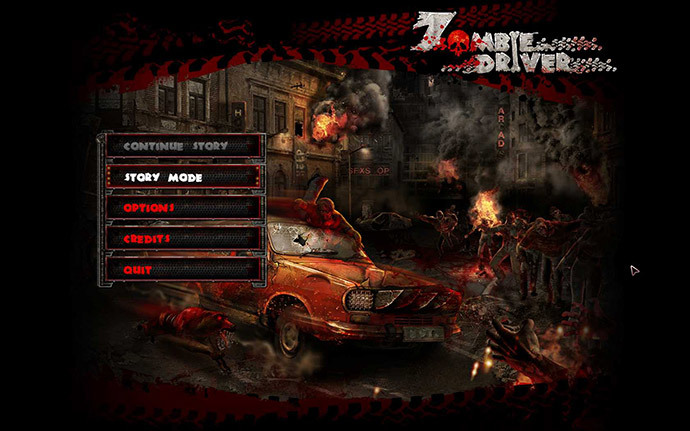 I personally found Zombie Driver to be quite fun to play although the game is nothing that special or revolutionary or whatever, it just builds on a nice and just fun concept and that is it. The game engine being used takes advantage of NVIDIA PhysX technology if you have a video card that supports PhysX. And the game works quite well with 3D Vision, although by default you can say it looks a bit flat… not enough depth so you need to crank up the depth level to the maximum to get good stereoscopic 3D effect. Of course playing with the convergence can easily fix that. As I already said the game looks quite nice when played in stereoscopic 3D mode as almost everything in in 3D except for the HUD that remains 2D, although it is not that big of a problem. Still if you increase the depth too much you might have some trouble quickly refocusing your eyes to read the information and then back on the game. But I can live with that and for just 9.95 dollars, 8.95 euro or 7.95 pounds (depending on where you live) the game Zombie Driver is definitely worth it. I really like the profile, its like playing with little plastic figures that seem to burst into pools of blood. Once the game it controllable with a pad it will be a nice diversion! This was the first game I checked out in 3d with my new monster rig and 3d vision set-up (got her last week). I thought the 3d looked awesome, and watching scores of the undead pop like bags o’ blood under my tires made me giggle like a school girl. Thanks for putting up this site, wish there were more like it for those of us who are now mesmerized by the world of 3d. Now I’m off to see how Second Life fairs with the extra dimension, but I’ll definitely be checking back with this site! Hmmm… The game does indeed look fantastic with the convergence turned way up… looks like a little model town… over run by tiny zombies. I’d go to the extent of saying it’s truly impressive. One issue, though… when I turn up the convergence to a desirable level, it starts ripping up the animated models (well, zombie humans and dogs so far). If I turn it down, that goes away, but it also loses it’s fantastic 3d effect. Has anyone else seen this issue? Is someone setting up their config to do something differently than I am? As a note… I’m playing the demo, not the full game. If the full game doesn’t do this, I’d totally buy it now!